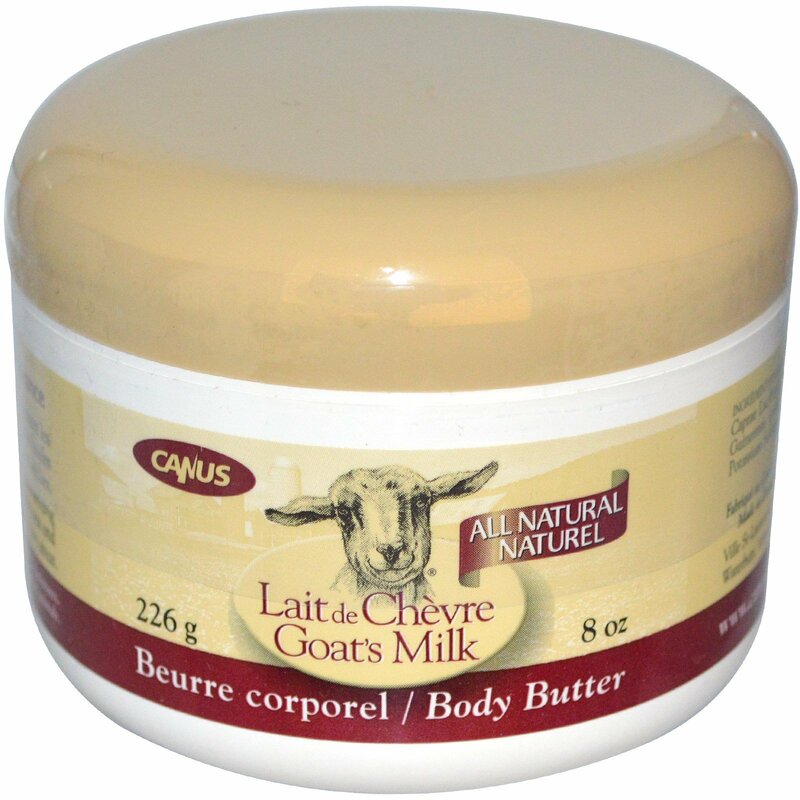 Canus has developed a luscious all natural body butter combining the moisturizing properties of fresh goat's milk with the natural richness of soybean oil, castor wax and palm oils. For best results, apply frequently to elbows, knees, hands and any other rough and dry areas. 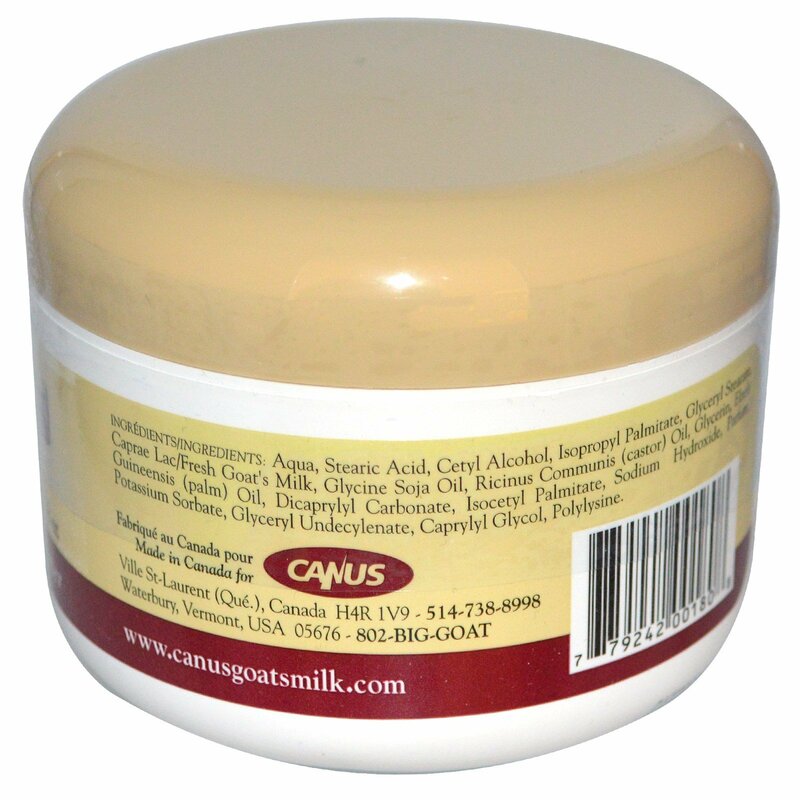 Water, stearic acid, cetyl alcohol, isopropyl palmitate, glyceryl stearate, fresh goat's milk, glycine soja oil, ricinus communis (castor) oil, glycerin, elaeis guineensis (palm) oil, dicaprylyl carbonate, isocetyl palmitate, sodium hydroxide, parfum, potassium sorbate, glyceryl undecylenate, caprylyl glycol, polylysine.